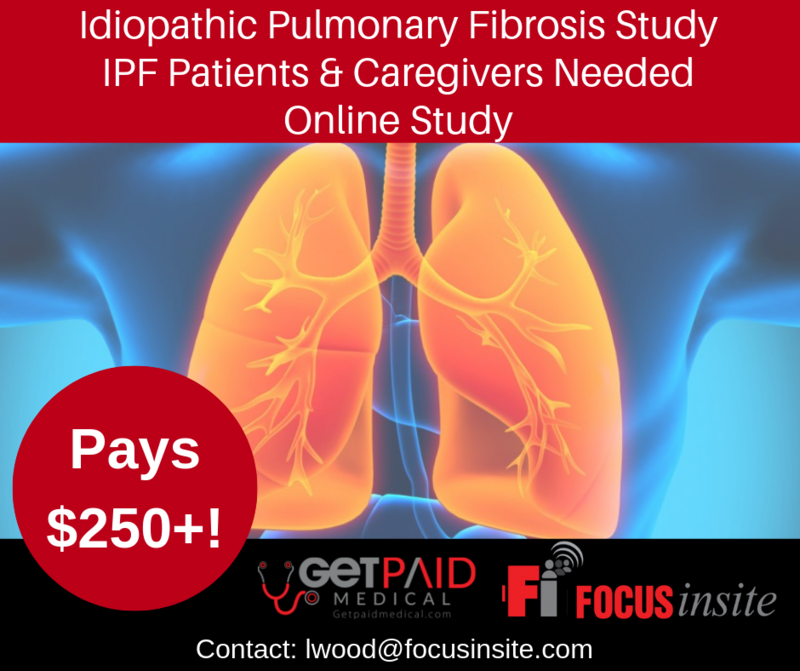 We have a new study coming up and are looking to speak with Idiopathic Pulmonary Fibrosis patients, along with their caregivers, to learn about life with IPF. Our study is taking place online beginning April 16th. For participants with IPF (patients) the session will be approximately 5 hours over the course of 1 week. For your efforts, you will be paid $300.00. For the caregiver’s of persons with IPF the session will be approximately 3 hours over the course of 3 days. For your efforts, you will be paid $250.00.